Take your chicken burger up a level with a buffalo kick! Combine the ground chicken, bread crumbs and wings sauce in a medium mixing bowl. Form into 4 patties. Heat the oil in a large skillet. Place the patties into the skillet and brown over medium high heat for 4 to 5 minutes per side, or until patties are cooked through. 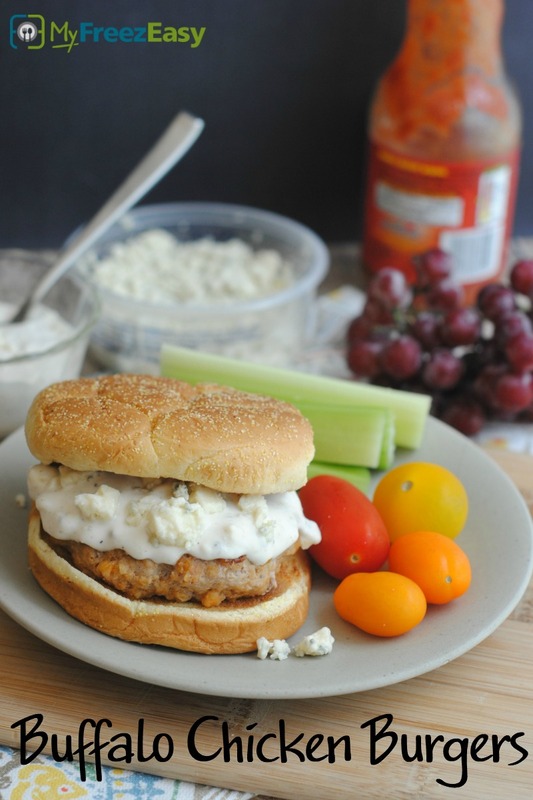 Serve on whole wheat buns with crumbled blue cheese and blue cheese dressing. 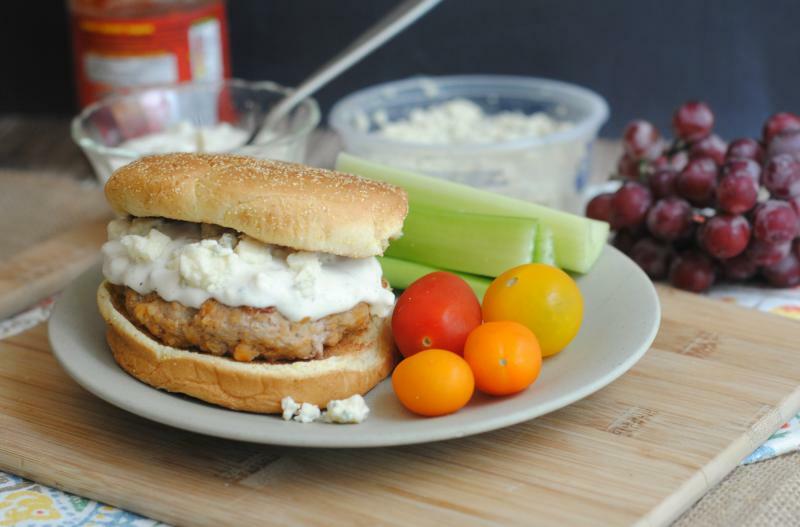 Serve Buffalo Chicken Burgers with fruit and veggies. Combine 2 lbs. ground chicken, 1/2 cup bread crumbs and 1/2 cup wings sauce in a medium mixing bowl. Form into 8 patties. Add piece of foil in between patties, if needed. Put baggie in the freezer and freeze up to 6 months in fridge freezer or 12 months in a deep freezer. Thaw in the fridge overnight, or a warm bowl of water for about 20 minutes, before transferring to the skillet and browning. Recipe is dairy-free when omit the blue cheese topping and dressing. Recipe is gluten-free when made with gluten free bread crumbs and served in lettuce wraps. Thaw and saute in skillet for 5 to 6 minutes per side, or until cooked through. Serve on whole wheat buns with fruit and veggies.